Networking Products. Orchestrated by CDW. A robust and fast network is crucial for an organization that can’t afford interruptions. To help keep your network running smoothly, you need networking products that don’t let you — or your business — down. 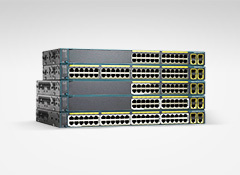 With a selection that runs from network switches and Ethernet switches to managed switches and Ethernet hubs, CDW has you covered. Has the news about large-scale data breaches and leaks got you concerned about your network security? We help protect businesses like yours with technology designed for every security concern, from firewalls to wireless security for wireless networking products. Looking to boost network performance and speed? We carry both wired and wireless routers designed to provide easy setup and increased throughput, and we also offer speed-boosting components such as network cards. Already got the networking products you need but not sure how to make the most of them? Our IT experts and partners have a wealth of knowledge about networking solutions and can develop network optimization and wireless infrastructure plans tailored to the specific needs of your business. Our services include industry-leading partner integration and include HP Enterprise, Riverbed and Cisco networking solutions, among others. 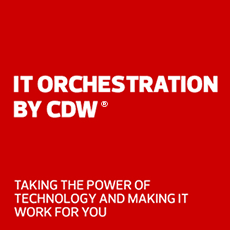 Speak with a CDW networking expert for additional assistance.